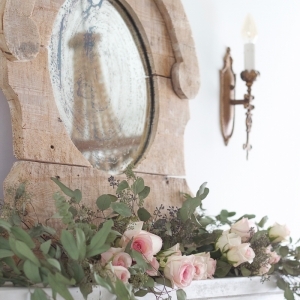 Here are 10 tutorials on how to antique a mirror. 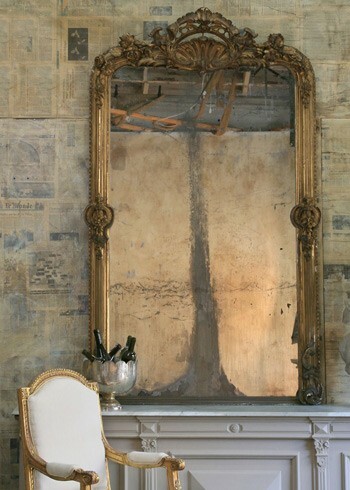 Nothing makes my heart pitter patter more then when I see an antique mirror. I have a thing for mirrors. I’m always buying them and then I run out of wall space. Quite frankly, I’m obsessed with light fixtures and mirrors. But my plan is always to antique every one of them. Who needs a mirror to look into anyway? They just look more interesting antiqued. 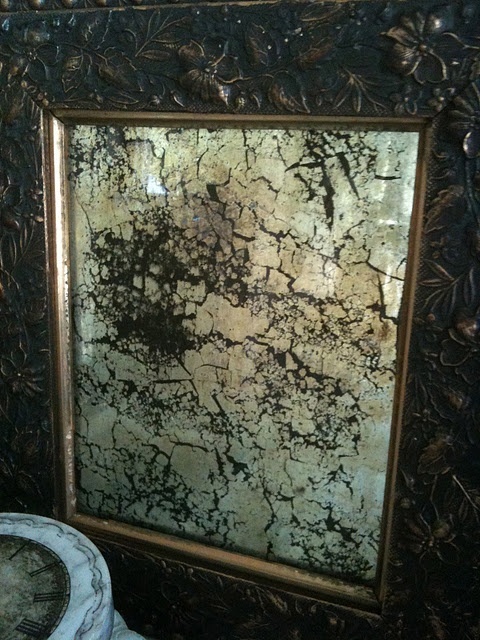 I recently antiqued a mirror which I was quite proud of but before I tried it I checked out many tutorials. 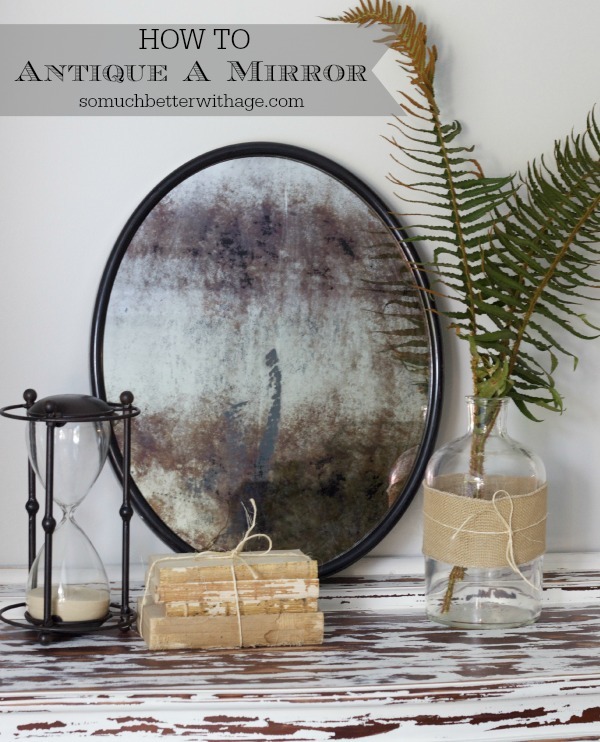 So now you can check out different ways and techniques to antique your own mirror! Here are three gorgeous eye candy images to get the creativity juices flowing. 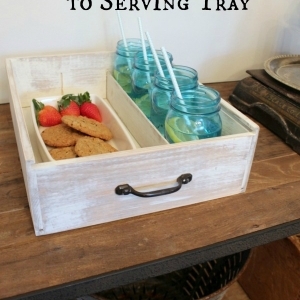 Love this one from White Living. This one via Greige is stunning! 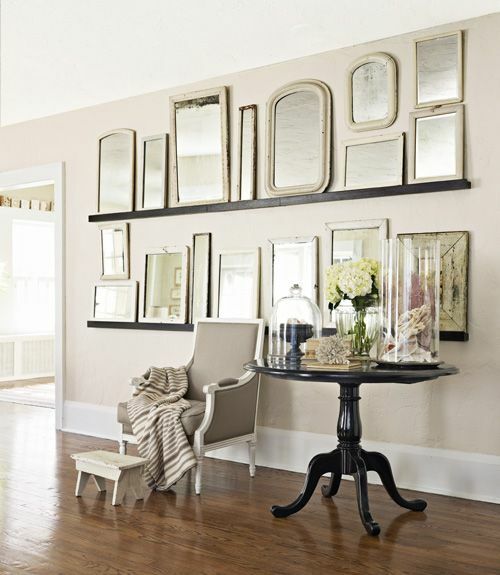 Would love a wall like this wall from Country Living. Now you have to check out these tutorials. This is an old tutorial of mine. I used Amy Howard’s products which I was very happy with. Villa Barnes used bleach to achieve this look. 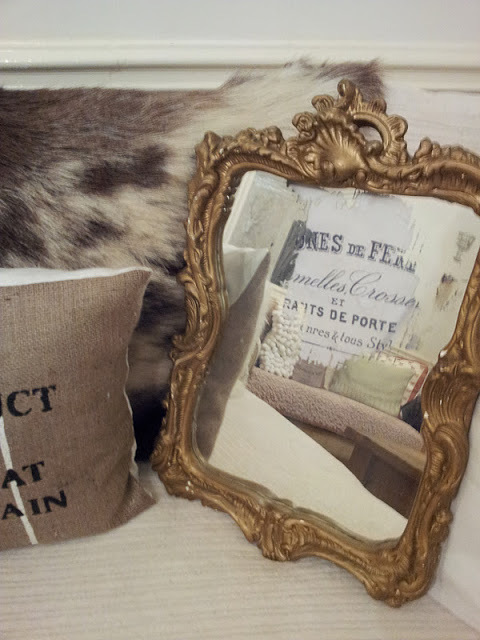 Decor Adventures used bleach and paint stripper to antique this lovely mirror. HGTV used muriatic acid to get this beautiful look. 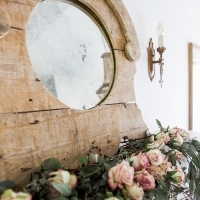 Twigg Studios used limescale and old paper for this stunner. 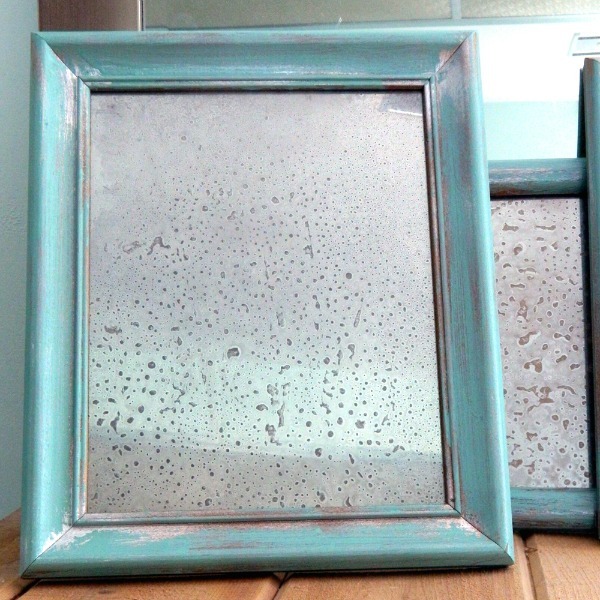 Salvage Savvy used muriatic acid for these set of mirrors. Dans le Lakehouse used muriatic acid as well. Gorgeous! 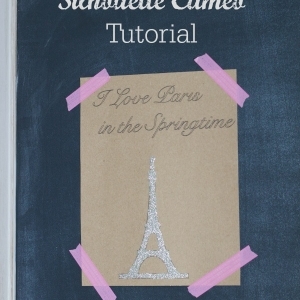 Home Heart Craft used Krylon Looking Glass spray paint. Such a neat effect. 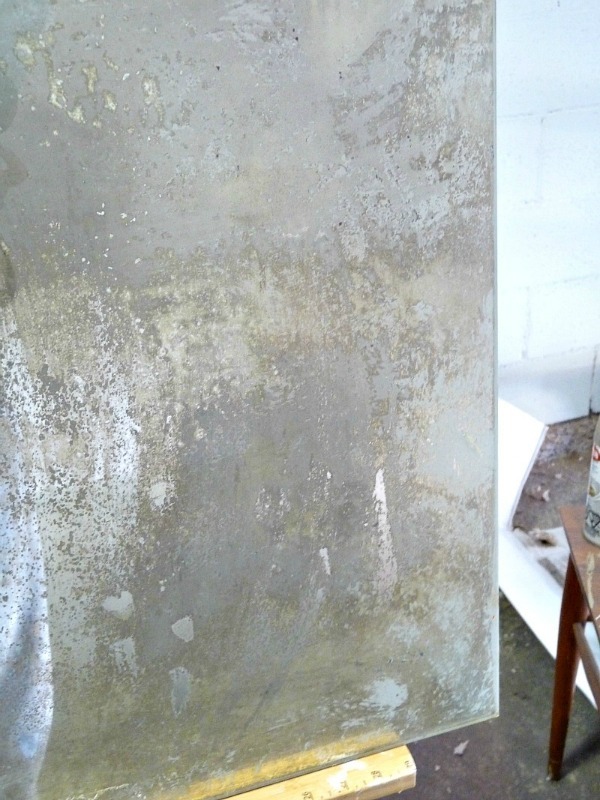 Savvy City Farmer used muriatic acid as well for this look. Love the large cracks. Reposhture used Krylon Looking Glass spray paint to achieve her look. Great subtle look. 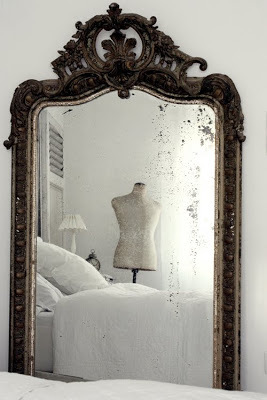 I recently did another post on Antiquing a Mirror. I’m going to do another soon too. I just love the vintage effects it leaves. 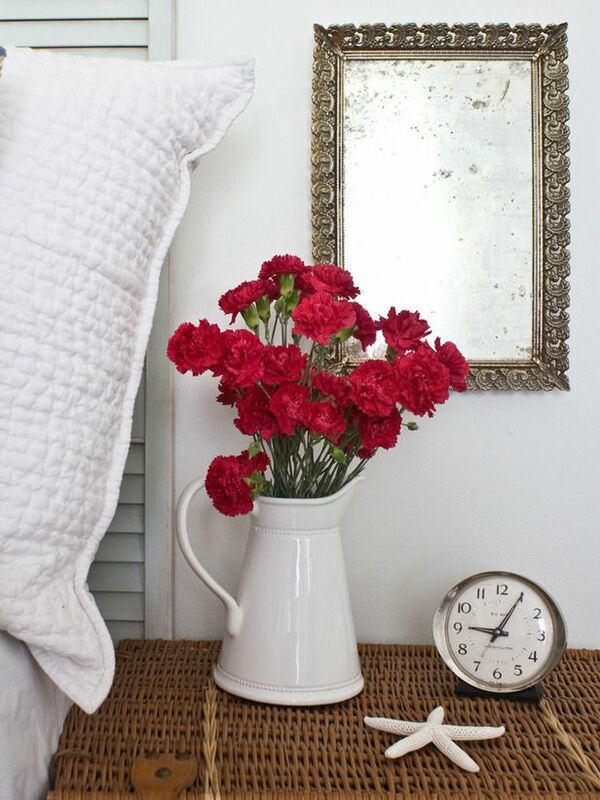 Have you been inspired now to antique a mirror? « Paint the Interior of this Cabinet Like Ballard Designs Cabinets? 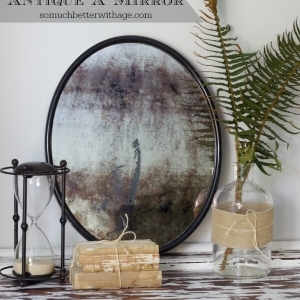 Thanks for all the ways to antique a mirror. I have tried a few different ones. I have used the acid one on small mirrors then added spooky pictures on the back to make Halloween ornaments. They are really fun! I just found this! Thank you so much for featuring me, I am sorry it took me so long to realize it!!! 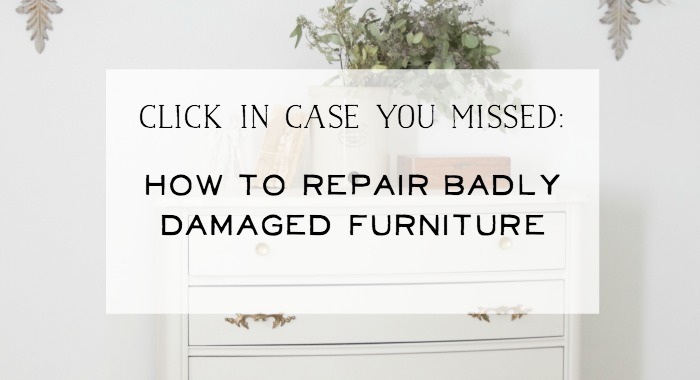 How do you distress an already assembled mirrored piece of furniture? 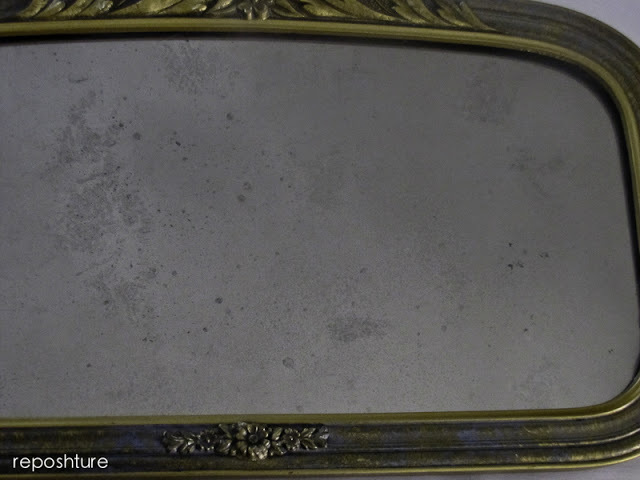 Any distressing tips for the outside of the mirrors? Sorry for the super late reply, I missed your comment previously. A mirrored piece of furniture would definitely be difficult. Perhaps the mirrors on the doors come off? I’m not sure it can be done as you have to get to the back of the mirror. Good luck! So many great ideas. 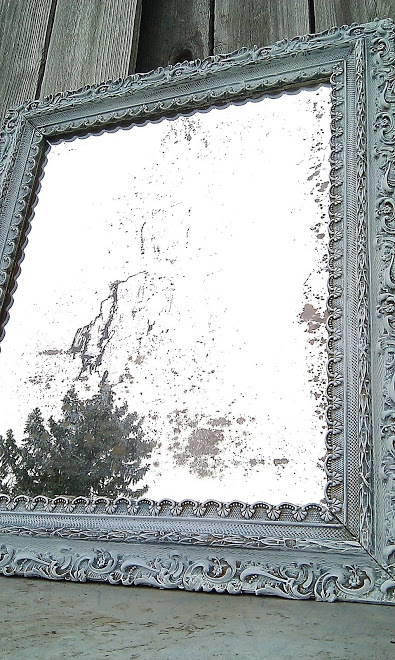 Next time I see an old mirror at a yard sale, I’m grabbing it. Hope mine will at least resemble one here! Thanks! Hi Jamie! 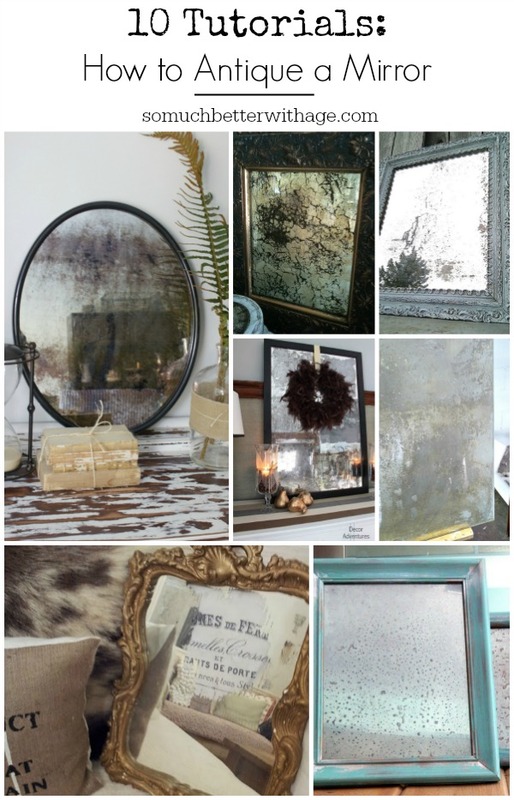 Love your mirrors…I have a wall of mirrors that are glued to the wall….is there a way to antique them? I was thinking of trying to faux finish them. Have you ever tried this? Sorry I must of missed your comment this summer! 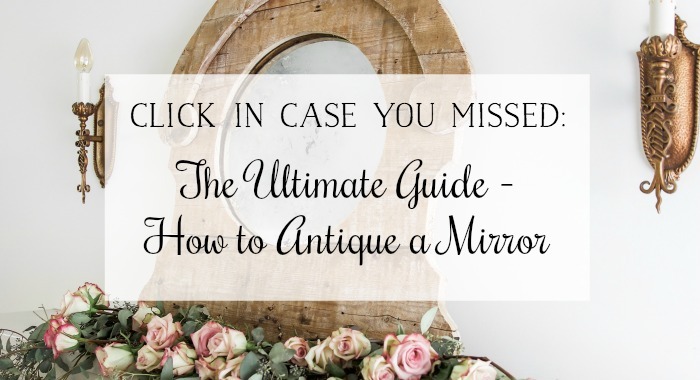 I don’t think there’s any way to antique the mirrors if they are glued to the wall because all of the antiquing takes places on the back side. 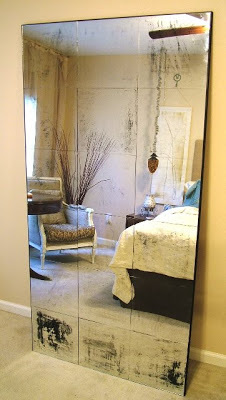 You could do a stencil or something with paint over top of the mirror. 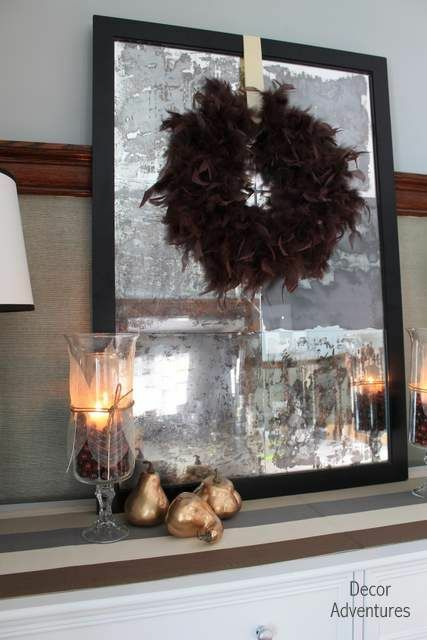 Is it possible that mirror already mounted to the wall (like mine which happens to be in eight pieces glued together, plain mirror) could be antiqued by putting a product on the seams? that way it could sink back into the mirror to have some affect at the seams, which is where it would naturally oxidize…? Thanks so much! Hmmmm…I’m not sure that it would be able to. It’s the whole backing that needs to basically come off. I think if you tried to do it through the seams you would burn the back of the wall as part of the solution is an acid. How would you do a green glass lamp? Would spraying it flat black then coming with mirror paint then vinegar or alcohol work?